The sight of the sea was as welcome as any we had seen in awhile. Midway through our stay in Phnom Penh, we ached for some new scenery and a break from the craziness of Cambodia’s capital city. Just a few short hours by bus and we arrived in Sihanoukville – the most popular town along Cambodia’s small coastline. 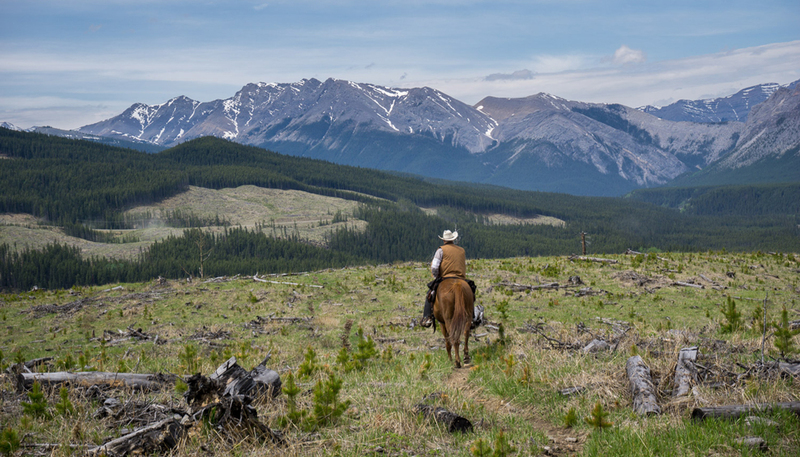 We skirted its edge and headed straight to our hotel near Victory Beach – a small strip of sand out of the way from the bustle of town. We made quick work of our check-in and bolted beachside, eager to feel the sand beneath our toes and relax on the inviting cushioned chairs. Our stay was but a short one, and we managed to peel ourselves away from that first inviting beach to see a bit more to this town that seemed to elicit such starkly different opinions. What we found were three very different sides to Sihanoukville. There is one main beach in the town and several others scattered, the latter, smaller beaches made attractive by their fewer number of visitors. Victory beach is far from the centre of town, hardly frequented and fairly quiet. The small string of stands served up delicious and cheap food, and the beach and water were relatively clean-ish (but not enough such that we swam for long). We were so eager for an escape from the city that a lawn chair beside an overflowing puddle might have garnered the same approval. 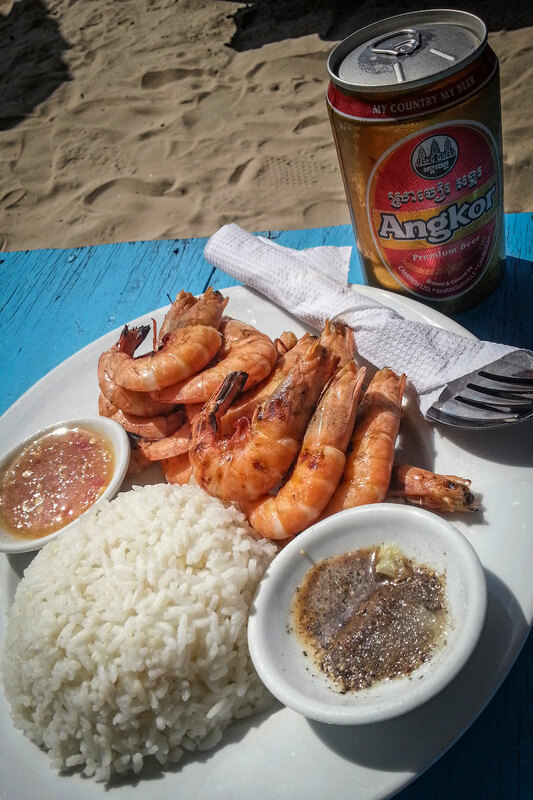 Fresh grilled prawns and rice, served to our beach chair for just a few dollars. This was a sunset for the record books. 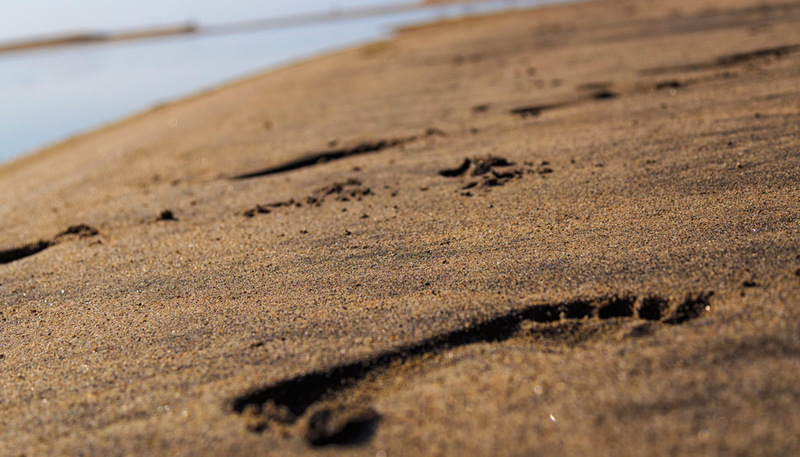 From our first steps onto the most famous beach in town, we wanted to quickly retreat. It’s kinda trashy, loud and obnoxious. Call us old and cranky but the slew of neon lights and hassle of pushy vendors were too much to take. Especially from the children. As cute and as sharp as their sales skills were, it is heartbreaking to know that at their very young age, many of them are being forced to sell to tourists, and are kept out of school to do so. Their exploitation was rampant and agonizing. 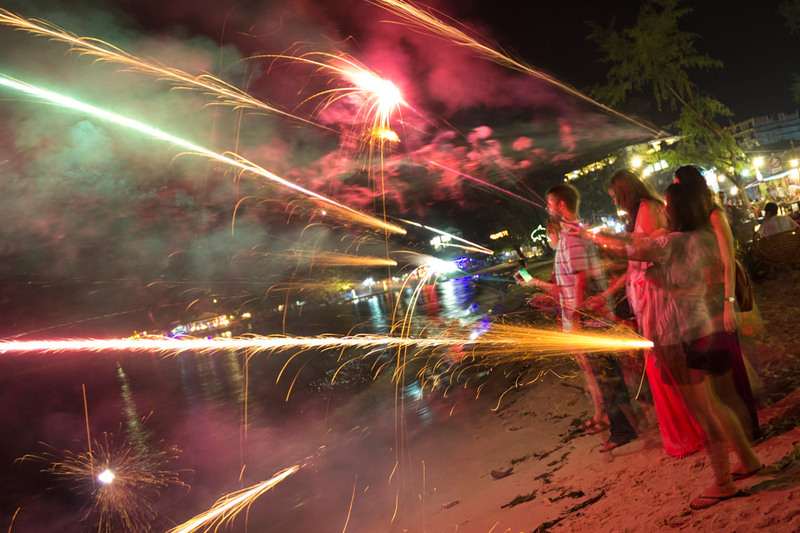 Fireworks are commonly sold by the children. In our opinion, the best part about Sihanoukville is that it is a jumping off point for a few secluded islands just off the shore. Koh Rong, the second largest island off of Cambodia, is accessible via a two-hour boat ride, and feels like another world. It is barely inhabited, peaceful, with near-immaculate beaches – it had been exactly what we were hoping for. Our two hour stay was not nearly enough. After two days, we headed back to Phnom Penh a little sunburned and relaxed, but alternately pleased and disturbed. Reports from others who have visited Sihanoukville over the years have noted its degradation from a tropical paradise to becoming overrun by tourists with little regard as to how to handle it sustainably (not an uncommon occurrence in an economically-depressed country ramping up its tourism efforts). While it served our sole desire to have a change of view, perhaps it was advantageous that we kept our expectations low. And we find it decidedly revealing that our best time visiting the town was when we left it (for Koh Rong). Our visit to Sihanoukville was a part of the TESOL program with LanguageCorps. All opinions, and decisions not to wear enough sunblock (PETE! ), are our own. Koh Rong is awesome! Also, Otres beach, the furthest beach from town in Sihanoukville is nice. Are there any places to stay on the island? We are considering some time down in Sihanoukville to wait out our Vietnam visas and have been warned about the party scene. I want to steer clear of that, but I’d also like some quiet beach time if possible. Glad you got at least a little retreat from the city. Interesting. I too have heard very mixed things about this place, and Koh Rang sounds like much more my scene than the town itself. I have no problem being perceived as old and cranky. Glad you enjoyed it (and love that sunset photo!). I’ll be in Cambodia in April, but after everything I’ve heard I’ve been debating on whether or not to skip Sihanoukville in favor of staying somewhere else longer. We didn’t really enjoy it that much (give it another read!) If you do got to Sihanoukville, I’d recommend getting over to Koh Rong for a couple of days. Koh Rong! Seems like a month doesn’t go by that I’m not ranting about it somewhere. Back in 2009, when we visited Cambodia, we were not taken with Sihanoukville – and I recognize a few of the disturbing things you mention. We were planning on staying in Sihanoukville for a week, but after one day we skedaddled to Koh Rong, after asking an old lady if there were any quiet islands around. Koh Rong left a massive impact on both of us, not just because we loved every second we spent there but also because we nearly drowned in the middle of a sea storm when returning to mainland. FUN! Shame you didn’t get the chance to spend more time there – it was virtually unspoiled in 2009, and although it still seems like a fantastic place today, there has been talk of turning the entire island into a resort. Magnificent photos, as usual. Good luck! Koh Rong is worth staying for 3-4 days at least … long enough to explore the pristine, empty beaches, play beach volleyball with awesome people, and to experience the joy of being the laziest beach bum in the world, without having to worry about being hassled by any touts whatsoever! Consider an escape to Kampot which I found much more relaxing than Sihanoukville. I had heard that about Kampot, and I wish we had had the time. Sihanoukville sounds like a lovely place. Nice beaches, sunset and seafood. 🙂 Very well presented by you – thanks for bringing out the real story. Great pics of all the beaches. Now I wish we’d made it to Koh Rong, but we spent most of the time on Ochheuteal, which is in the middle of Victory and Serendipity, as far as crowds and restaurants/shacks. The garbage floating in the water on occasion really turned me off to swimming there after the first day though, which was disappointing. Thanks for the Koh Rong recommendation. I recently wrote about the begging culture amongst the kids in Cambodia and also find it heartbreaking, confusing, irritating…mostly because I just wonder what the solution might be. Haha! They really should just start labeling them as such, so it makes it easier for us cranky old people to find them. Enjoyed my stay there back in 2006. I was really excited to visit the beaches in Cambodia but… I guess I’m in the camp of people who were underwhelmed by Sihanoukville. I might just be crazy picky, but to be honest, I haven’t been all that impressed with any of the beaches in Asia (the pollution in this part of the world is really a huge detraction as far as I’m concerned). We spent a couple of days over at Otres Beach which was nice, but felt claustrophobic (and a bit pricey) though not sleazy. We had considered heading to Koh Rong but it seemed a bit of a pain to get there from Otres and we talked to another couple who had just been and said it was pretty much the same as what we were dealing with there and not really worth the effort. I had really mixed feelings about Cambodia and I’m not really sure I have any desire to go back… if I did, I’d maybe check out Koh Rong, but the rest of Sihanoukville I think I could pretty happily skip. Good to know. 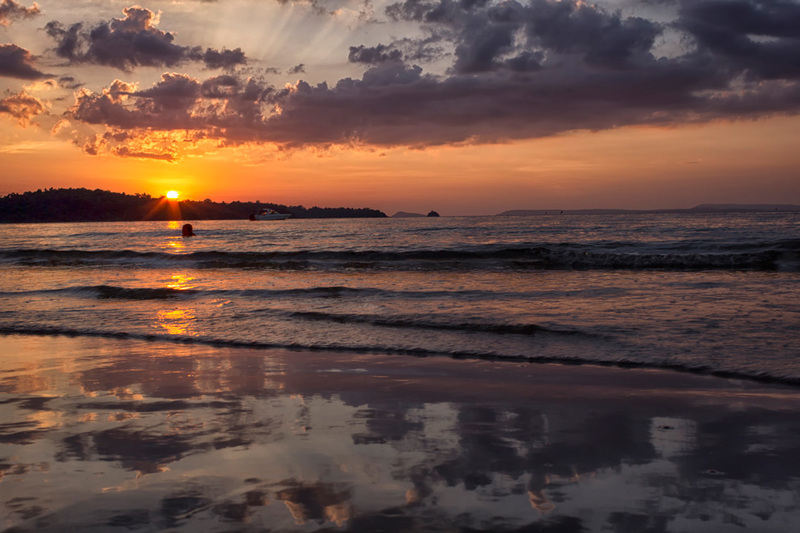 I’ve been hearing similar things about Sihanoukville and it didn’t make me want to go. I’d be all for a less populated, less touristy beach. Andy and I aren’t big beach people anyway, but a few days would be nice. We’ll see how we feel about going to a beach in Cambodia once we get there, or we might find someplace while we’re in Malaysia. It’s too bad that the place isn’t being treated well to sustain it’s future. You’re right about one thing – that sunset is one for the record books. Beautiful! 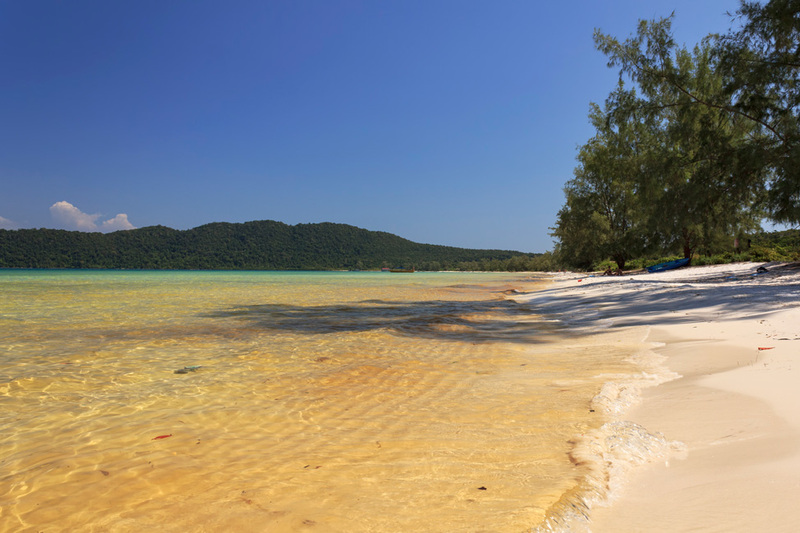 I’d be with you in being disturbed by Paradise Beach but I definitely think I’d enjoy Koh Rong. Looks like my kind of beach indeed, nearly deserted. It’s sad that so many places around the world now have such a yin/yang from the impacts of tourism. 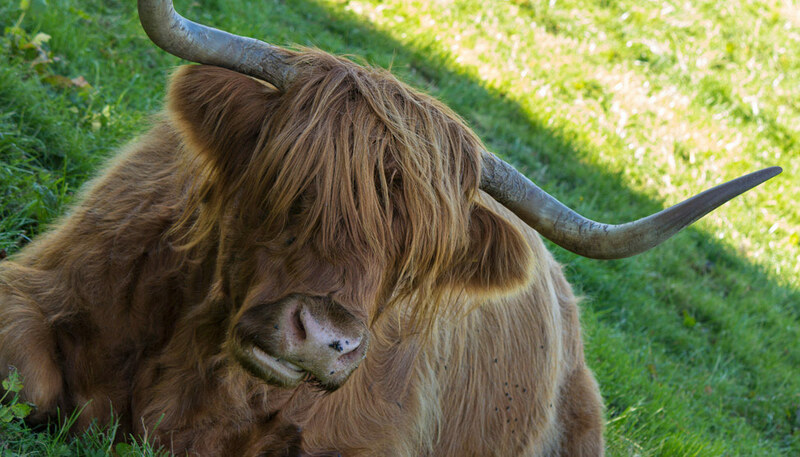 Your images suggest that the area is quite beautiful and I am so sorry to hear that it is not being sustainably managed! I am currently in Sihanoukville and really enjoyed Otres Beach! My partner and I found Serendipity a bit grotty (the children beggars are persistent and even rude…) and Koh Rong was full of partying backpackers…but we loved Otres! 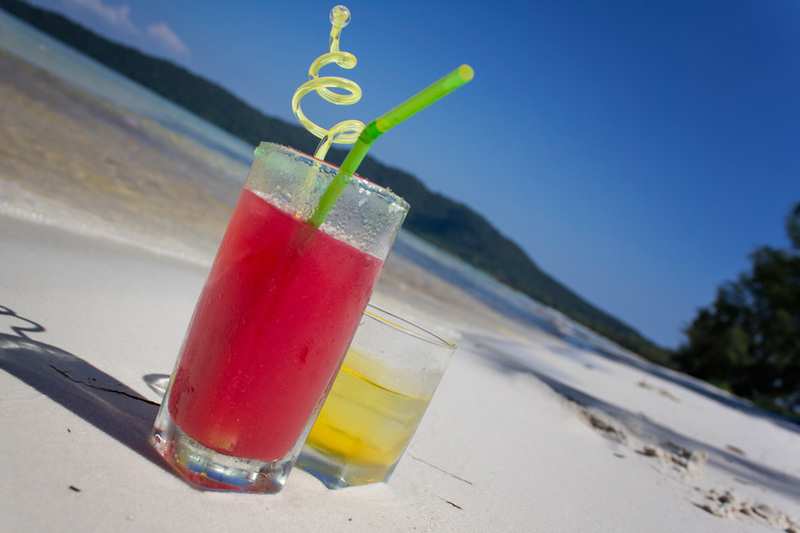 I have heard about both Koh Rong and another bigger island off the coast. I was in Sihanoukville about 10 years ago and the main beach was already touristy so I’m not surprised with the overdevelopment. But like your article mentions, you can escape it or jump in, depending upon what you want on a specific day. Nicely written and good photo selections! 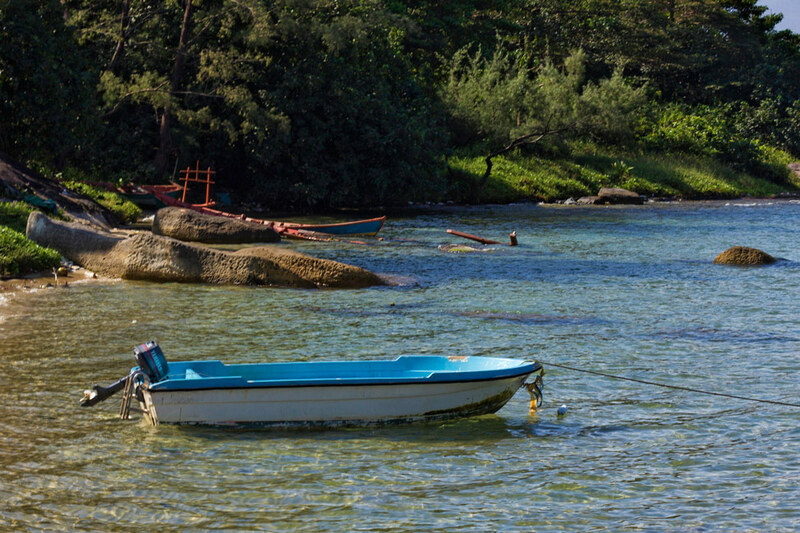 Koh Rong definitely looks the most inviting, the pics look amazing. I’ve heard bad things about Serendipity Beach so we’re planning on avoiding that at all costs. I’ve also heard that Otres Beach 1 is worth a visit.